The wooden tub lid is £500 now included. The wooden steps are £120 now included. 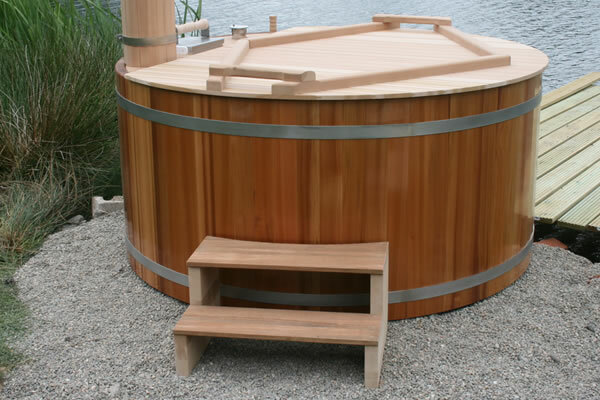 Your wood fired hot tub will be delivered and installed complete with thermometer and wooden paddle. 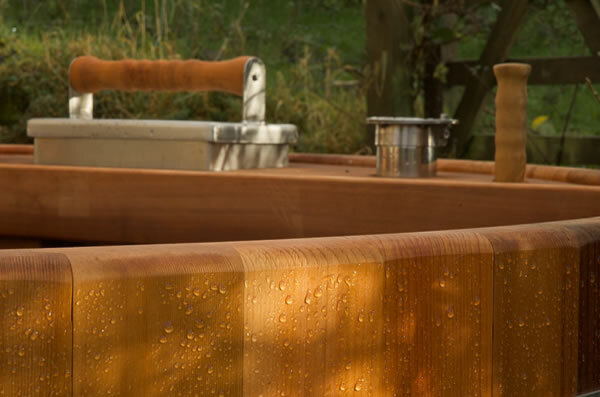 Call us on 01298 84467 or 01538 308420 to order your tub and optional extras. We will discuss delivery charges and any special requirements you may have. We will agree with you, a fixed all-inclusive price for your hot tub. Once we have received your deposit of £1200, confirming your order, we will begin construction of your tub. Your tub will be ready for delivery within 6 weeks. 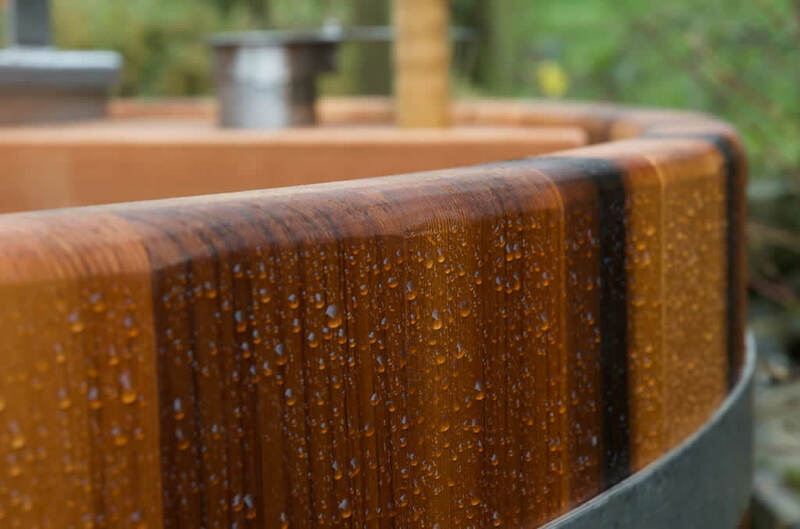 Upon receipt of the balance for your hot tub, we will organise a convenient time for you to take delivery. We will then deliver and erect your hot tub in your chosen location. If you need a run through on the operation of the tub, we can do this for you too. All that's left is for you to enjoy your tub for decades to come!